I've been meaning to try some Omega 3's, yesterday the universe lined up so that I would see that. I went to my chiropracter and saw he was selling Omega 3 Gummies from a company called Nordic Naturals. Now, I've had at least 2 different people on my show promoting the company. So it just hit me to purchase the product from someone I trusted, isn't that how it works? I've been meaning to do this for a while but you know how that goes. It's not like I didn't trust Stuart Tomc, or Dr. Shunney, it's just easier to accept from someone you know. I never would have had them on the show if I didn't think they were legit. This week's show is about many things, including natural health and how I wonder if it can improve psychic ability. Don't get me started, but something did this week. So I do a bit of a speil on the whole enchilada and why things are the way they are. The bigger picture, from my smaller viewpoint. I talk about the Archangel Metatron, who speaks through James Tyberonn. Are you familiar with him? I find it similar to Ramtha. Lately I've been hearing concerns about what's going on in the Ukraine and the Middle East. My response is always "How do you know you're getting the truth?" They want us to be all worked up and choose sides, and yet there are other events in the world that seem to be ignored. And the good is almost never reported. Whatever we focus on the longest becomes the strongest. A balanced mind will see it for what it is, which brings me full circle right back to the Omega 3's. 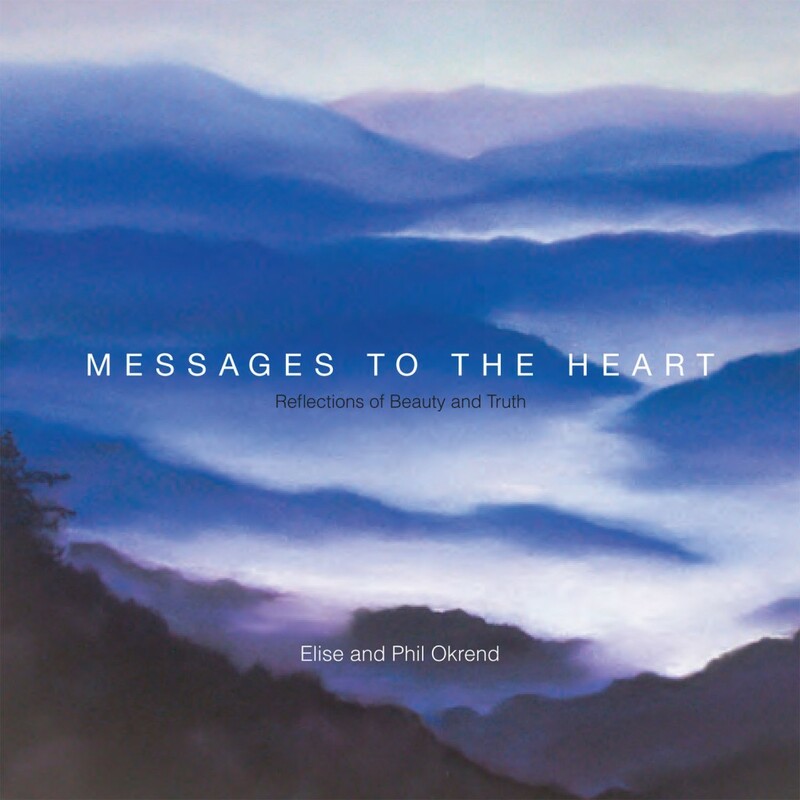 Messages to the Heart, is a gorgeous inspirational coffee table book, born from an organic pairing of one couple’s passion: Elise’s thoughtful, healing pastel paintings paired with Phil’s mindful philosophy derived from years of coaching clients to success. Together, they bring a visceral expression of everyday inspiration brought together through art and words. Readers will feel touched, inspired and reminded of their “ah-ha” moments of truth and beauty in their own lives. Not just a beautiful art book, Messages to the Heart is also a tool that readers can use again and again to pull themselves through life’s challenges. The book is 82 pages with 37 reproductions of Elise’s original paintings. This week Joy Melchezidek and speak to Elise and Phil Okrend. My father was a pipefitter, he belonged to the union. Unions have taken a bad rap, some have suggested they are no longer needed. History suggests otherwise. Conditions before unions were not good 100 years ago. Many died from poor working enviroments. Wages weren't very good either. Some think that companies wouldn't revert back to previous times. What would stop them? My guest, Sally Musson, watched G.M. pull out of her hometown and shares her experiences. We both feel our media has had an agenda to add to the decline, as well as the actions of the government. Why? The answer is obvious, profits. Is this a one sided conversation? No, unions need to make some changes too. The whole purpose of this show was to get others to see past the propaganda and not believe what our national media tells us. Imagine if you could travel the world and look into whatever mysteries that caught your interest. My guest does that, and he documents what he finds. Meet Mike Esordi. The last time I spoke with Mike he was on his way to check out some of the Mayan pyramids. What I didn't know is that he also has been to the UFO watchtower in Colorado, I just did show on that a few weeks abo. Mike will go wherever his interest takes him. He spends some of his time at Lake Champlain, many believe there is a creature similar to the Lochness Monster residing there. 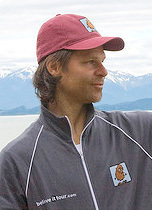 In this show we also talk about his trip to Alaska and some of the strange things people have seen. Each culture is different, and each one seems to it's own unsual legends. Mike has many stories to share. He says, "Explore life like you did as a kid." I couldn't agree more.